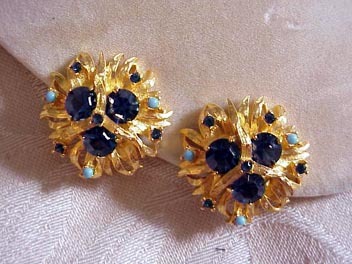 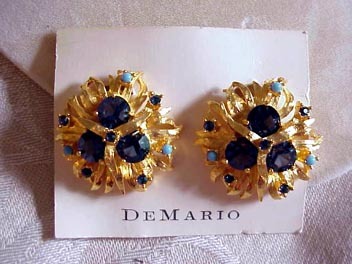 DE MARIO gold tone earrings with blue rhinestones and tiny aqua beads. 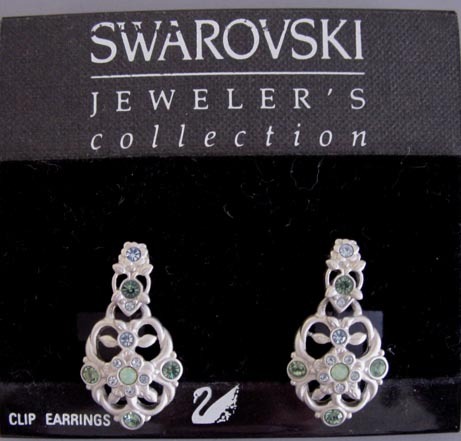 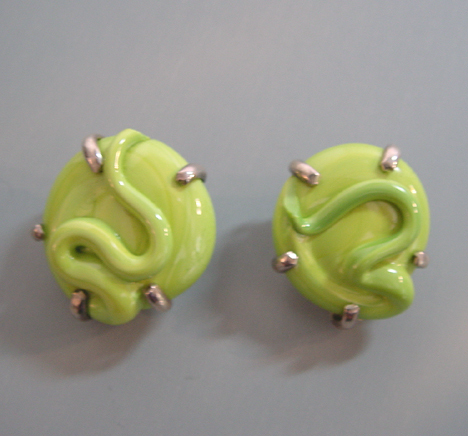 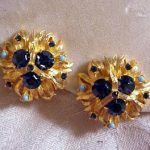 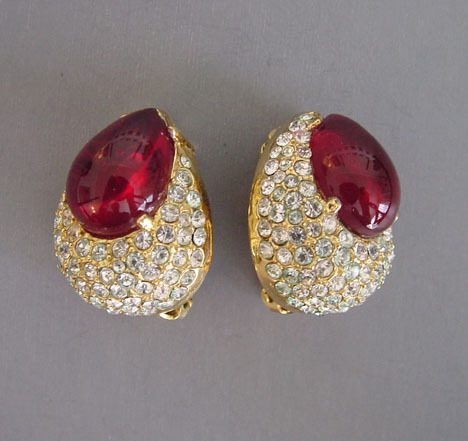 These are 1-1/4" clip-backed earrings. 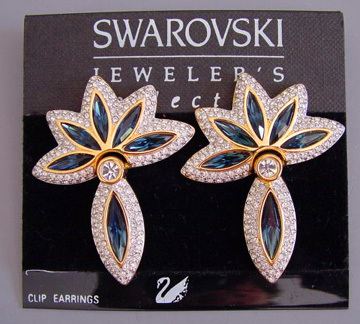 These are in excellent never-worn condition still on the original card, circa 1960.